The rumour mill is rife thanks to Sony poor server protection and blogs reporting a lot of hear-say. It has now become apparent that there has been plans to create an X-Men / Fantastic Four cross-over film. This seems to be the way of Hollywood in its approach to comic book films, particularly Marvel, giving fans an experience likened to that scene in Saturday Night Fever where Mel Gibson makes and appearance, just on a bigger, grander, epicerer stage. Yes, we make up words here. Email leaks show strong evidence of a X-Men / Fantastic Four film, with conversing emails about the subject between Columbia Pictures’ co-president of production Michael De Luca and our woman of the hour Amy Pascal of Sony Pictures. 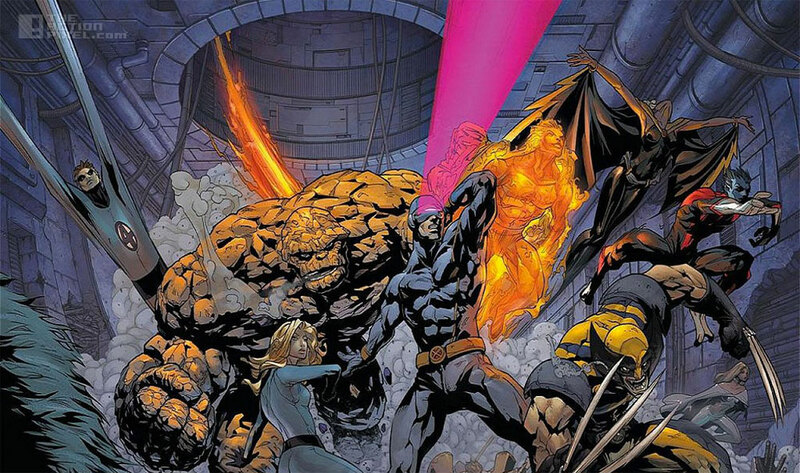 In the email, De Luca writes about learning about Fox’s X-Men and Fantastic Four team up film via Simon Kinberg, and suggests Sony was planning something similar with their Spider-Man film, linking the new Spider-Man movie, Venom – the female led anti-hero Spidey movie, and the amalgamation of whole efforts culminating in Sinister Six. But ultimately it may be a waiting game. 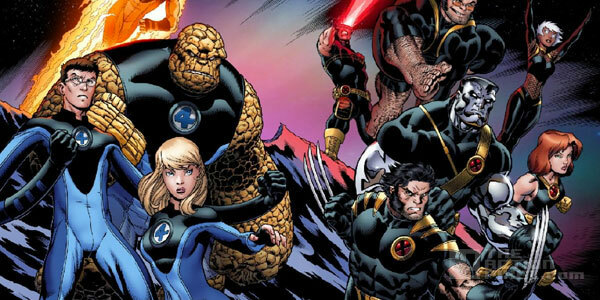 Simon Kinberg has reportedly said that the upcoming reboot of Fantastic Four places The Thing, Torch, Invisible Woman and Reed in ‘seperate universes’ to the characters of the X-Men. But with both franchises playing around with interstellar, alternate dimension hopping in both franchises, it wouldn’t be a stretch to see how these two world would collide, if it were to go ahead. But we have to keep in mind, Marvel’s roster is set up up until 2019, Sony, Fox and the rest undoubtedly have greater list of to do boxes, especially when it comes to cross-line negotiations. And with the obvious security issues, will Fox / Columbia be a little more reluctant to open dialogue / trade in fear of having information and possible rough edits and cuts leaked?